The Mt. 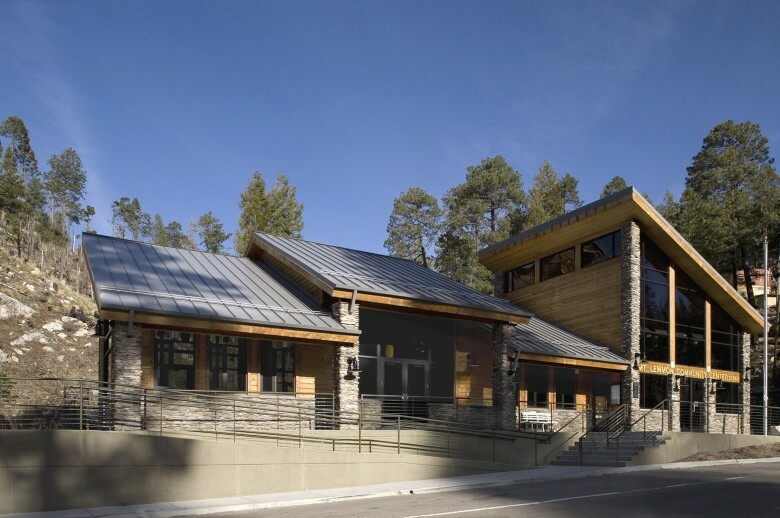 Lemmon Community Center is the result of a public planning effort after the 2003 Aspen Fire devastated the town of Summerhaven. The Visitor/Community Center supports the mixed use village, which consists of a lodge, restaurants, retail, and condominiums, oriented around the creek. $2.5 million in bond funding was used to implement the village center plan, restore the creek, and build the Community/Visitor Center, including the ceramic timeline and the related roadway, parking, and bridge.